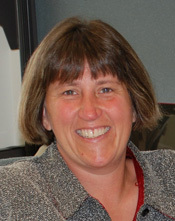 Julie Bentley received her BS degree in optics from the Institute of Optics, University of Rochester in 1990. She also received her PhD from the Institute of Optics, University of Rochester. Her PhD thesis focused on the integration of the design and manufacture of gradient-index optical systems. After graduating she spent two years at Hughes Aircraft Co. in California designing optical systems for the defense industry and twelve years at Corning Tropel Corporation in Fairport, New York, designing and manufacturing precision optical assemblies such as micro lithographic inspection systems. She started teaching at the University of Rochester in 1998. Her main teaching interests include geometrical optics, optical design, and tolerancing.